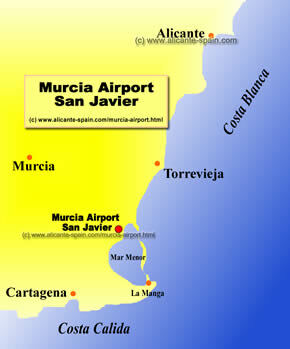 Murcia does have its own airport, even if it is very small. With all facilities it the San Javier airport handles international flights and offers all facilities such as regional transport and car hire. To be precise, the airport is called Murcia airport, despite the fact that lies about 45 km outside of the city close to a small town called San Javier. It is perfectly located to serve the southern Costa Blanca and Costa Calida area, as it lies just in between three major cities: Murcia , Cartagena and Torrevieja. Being just around 30 km away from the LaManga area, it also attracts thousands of tourists and residents every year. With the growing interest, especially into the area around La Manga, the airport has become more and more popular amongst various airlines. 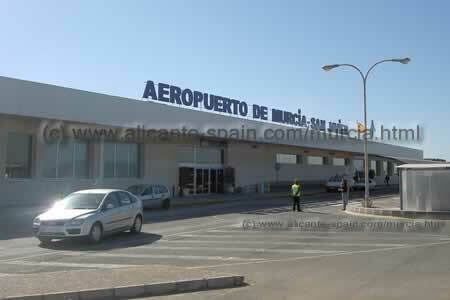 However, it is still a very small airport compared to Alicante airport. Unfortunately ground connections to and from the airport are rather limited. Public transport is generally not very good in Spain. With only 3 daily direct bus connection to downtown Murcia City (via the latbus company) and no direct train connection at the airport (the closest train station is about 10 km away) , public transport is literally non existent. As a business traveler heading for Murcia city you can try to take the bus (if you are lucky and it runs around your arrival time), but as a tourist heading for any of the beautiful towns around the area there are not many options left. Depending on what your holiday plans, a simple taxi ride to your hotel or a car hire might be the best choice. Not a huge airport, but ideally located for travelers to the southern Costa Blanca and Costa Calida area. If you are planning a “sun and sightseeing” holiday you really might consider renting a car at the airport. I put some details about Murcia car hire on this page here. Especially tips on where to pickup and leave your hired car at the airport. If you happen to own a home around the area and plan to fly out from the airport you might want to leave your car directly in the parking lot. The parking lot at the airport. I have seen security personal around, but i am not sure if these where guarding the parking lot as well. 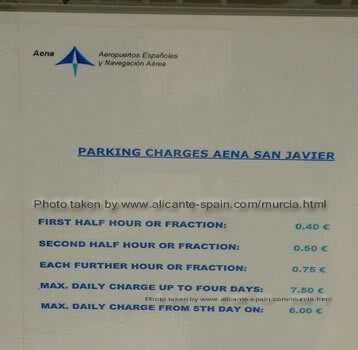 Parking fares range from 6 to 8 Euros per day. In case you need to check real time live flight data for flights going into / from Murcia San Javier airport, you can find the current Murcia airport arrivals and live Murcia airport departures information on this site. 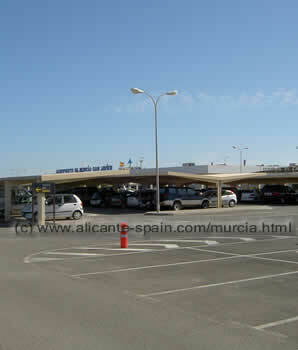 If you are planning your vacation around the southern Costa Blanca or Costa Calida area, especially La Manga visitors, the airport of Murcia San Javier would be the ideal arrivals and departure destination. As not too many Murcia flights are available you might consider Alicante airport with many more international connections especially during the summer months. Whatever your plans are, make sure you arrange your airport transport or rent a car at Murcia airport if you really want to explore the beautiful area and enjoy the excellent Murcia weather around Mar Menor and La Manga. 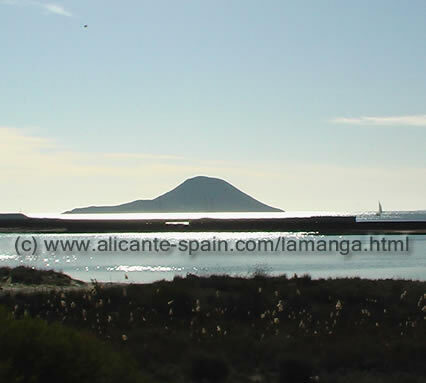 Famous for its excellent golf courses, the area around La Manga is a real treasure of nature. 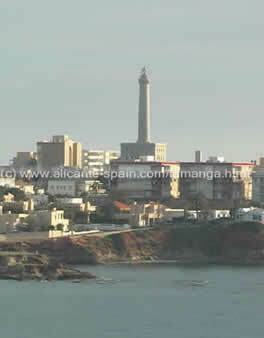 Watch the beautiful pictures and enjoy the video about La Manga ...here.